Texas Insurance Agents – We know Texas insurance! 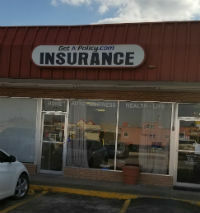 Get A Policy is a business-to-consumer Texas insurance agency that delivers Web-based, insurance information to individuals, families and businesses who are in need of insurance information. Our integrated suite of online services facilitates a comprehensive search and review of leading insurance companies. Get A Policy is not owned by an insurance company, therefore we provide objective information to consumers and business owners, helping them make informed decisions about their insurance needs. Our insurance policies and service are available to all Texas residents. Get A Policy competes against many direct writers such as USAA, Farm Bureau, Geico, AAA Insurance, State Farm, Allstate, and Farmers. The advantage of using an independent insurance agent is that we have dozens of A rated companies competing for your business such as Metlife, Safeco, State Auto, Progressive, Hartford, Kemper, Allied, Travelers, GMAC, and Encompass etc. When you are with a captive agent you have one option and that is it. Call us today for a free quote 888-748-1930.